The 60th and final bridge documented in the Long Island Motor Parkway bridge series is the "parkway bridge" over Deer Park Road (now Deer Park Avenue) in Dix Hills. This bridge was built around 1911 and was the most easterly bridge built by the Long Island Motor Parkway, Inc. 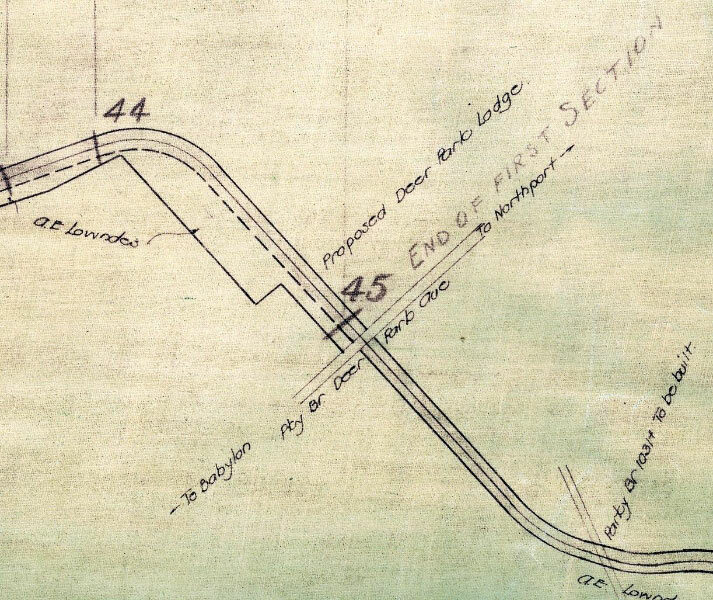 Surprisingly, only 60 Motor Parkway bridges were built rather than the expected 65 bridges. More than 15 other bridges were "planned" but never built. 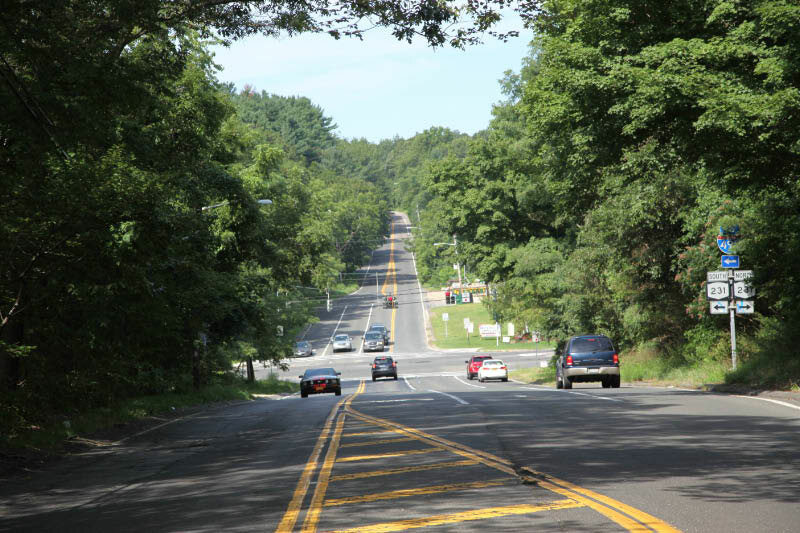 The Motor Parkway purchased 21.837 acres from Allison Lowndes for the area around Deer Park Road. 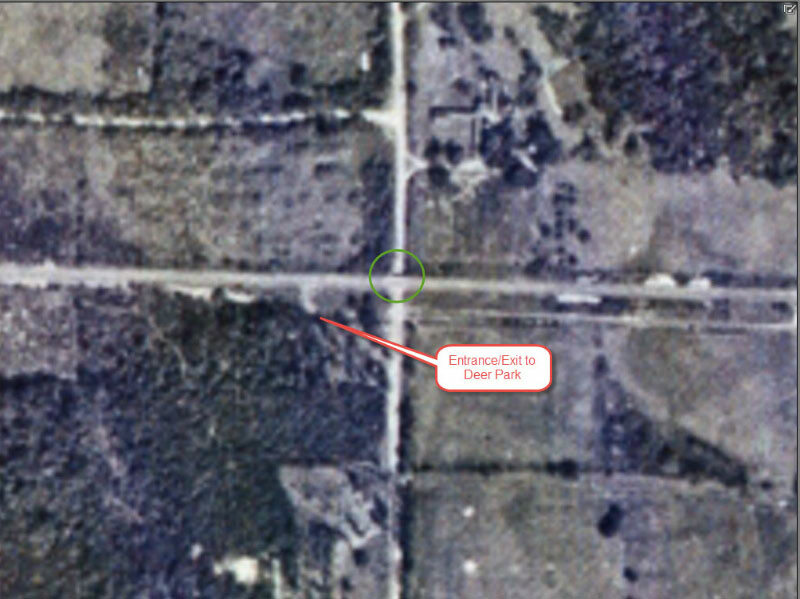 A total of 14.65 acres were used for the road. 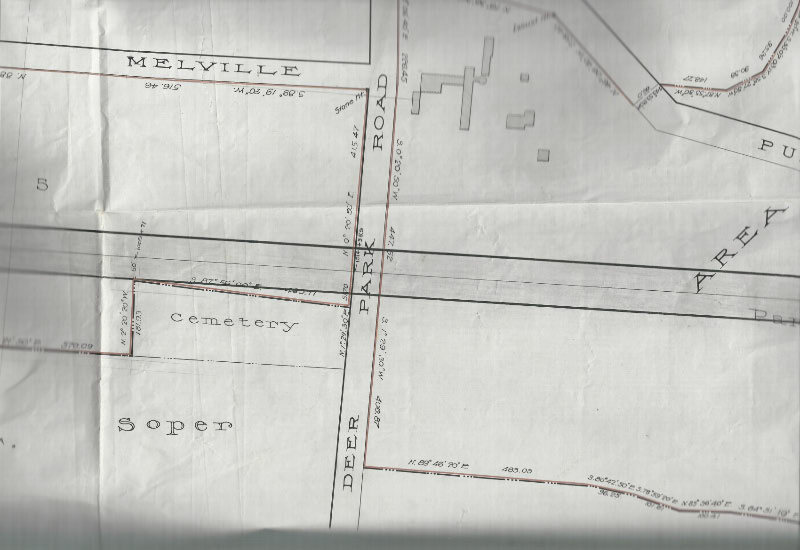 The entrance/exit to the Motor Parkway can be seen just above the David Carll Farm Cemetery site. The Deer Park Lodge was originally planned to be built north of the Motor Parkway and west of Deer Park Road. 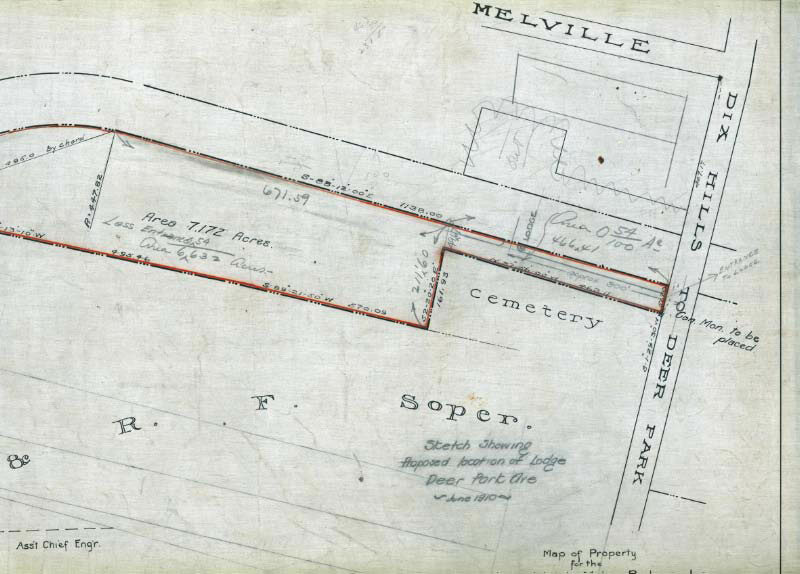 As shown by the June 1910 survey revision, the proposed location was moved south of the Motor Parkway. Although marked on Motor Parkway maps, the Deer Park Lodge was never built. 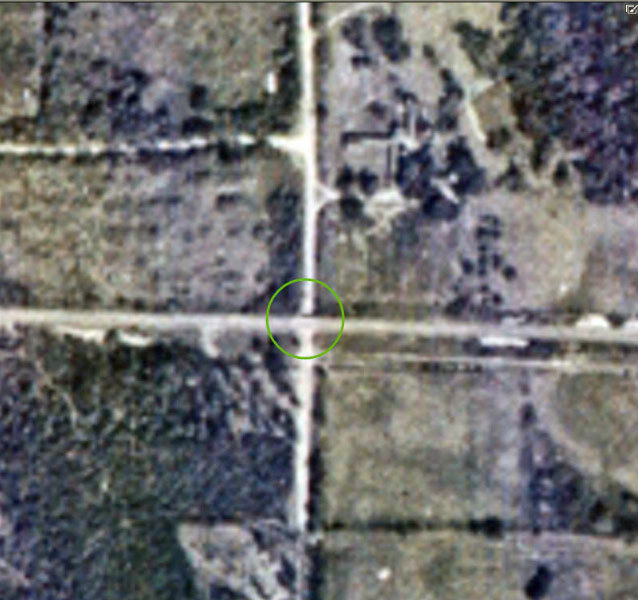 This aerial provides the only known image of the bridge. The entrance/exit from the Motor Parkway to Deer Park Avenue can be seen in the aerial, south of the Motor Parkway. This rare photo is looking west down the Motor Parkway and shows the entrance/exit to Deer Park Avenue. The nearest guardrails on both sides of the Motor Parkway were at the beginning of the west embankment of the bridge. The bridge was taken down in 1947. 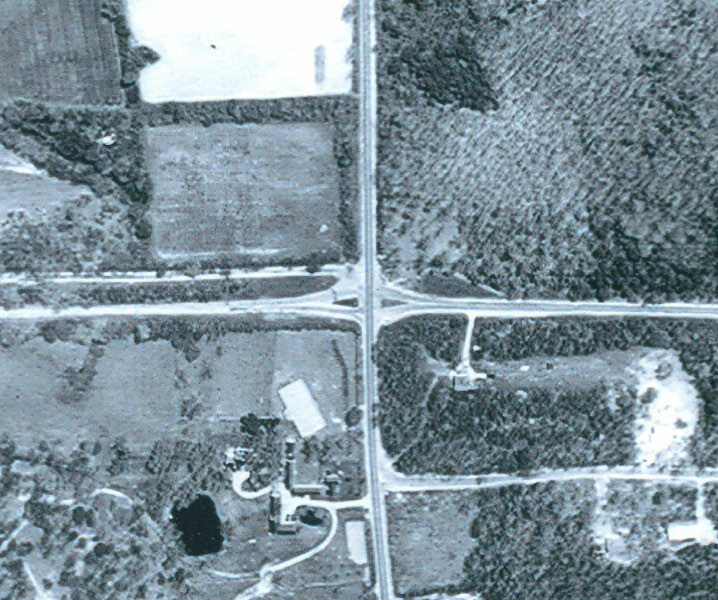 Note the Motor Parkway in 1950 was split at the busy Deer Parkway Avenue intersection. The current view looking west. 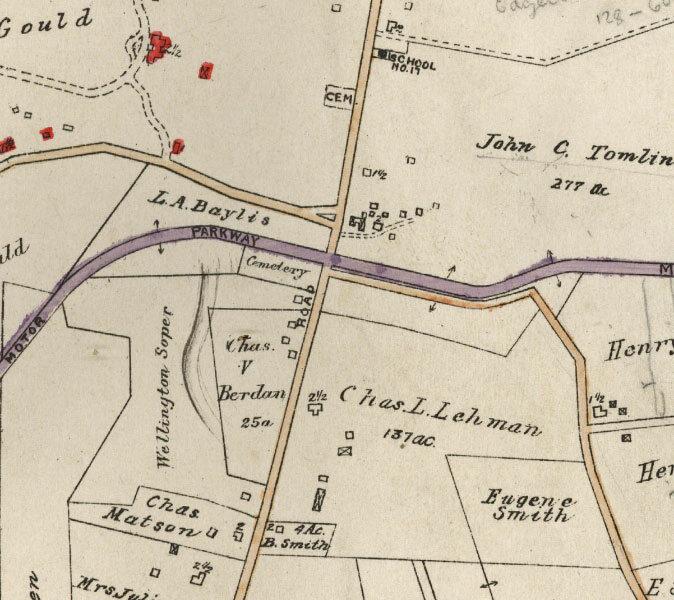 Note the valley topography in this area enabled the Motor Parkway to go over Deer Park Avenue. 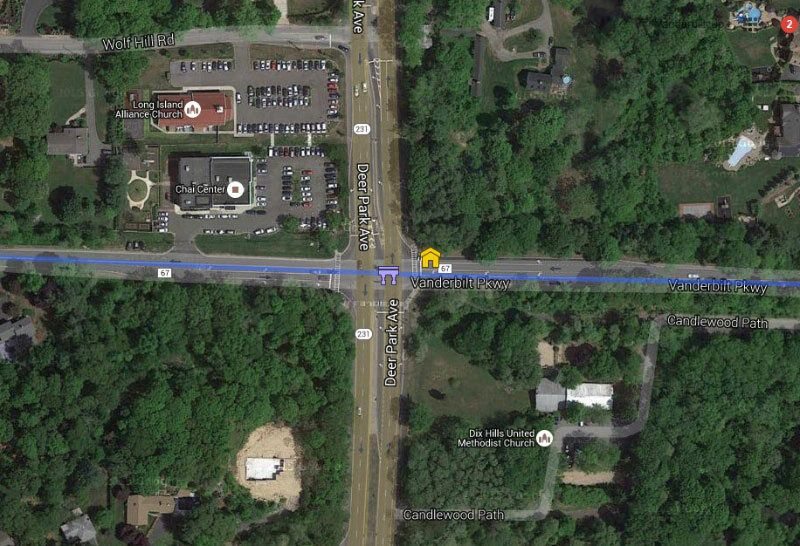 Check out Wayne Consolla's online Motor Parkway map to find the location of the Deer Park Road Motor Parkway Bridge. My bike and I recall this hilly part of the LIMP. Being that there were no other bridges E/O Deer Park, I guess the LIMP wasn’t limited access east to Lake Ronkonkoma? Some main roads that intersect the LIMP presently appeared to intersect the LIMP on older maps. I enjoyed reading the item about the Wheeler bridge and forwarded your email to George Zink. George is a fellow Alley Pond Strider who has lived in the area for I think over 60 years. Below are his recollections about the Wheeler bridge that I thought you would be interested in reading. FYI, it was pointed out to me today. I have run on the path a least a million times since 1984 and never noticed it! The Wheeler Farmway bridge is at the very top of the hill east of Springfield Blvd. Not easily recognizable, but you might have tripped over the slight change of height that runs across the road. There are two of them. 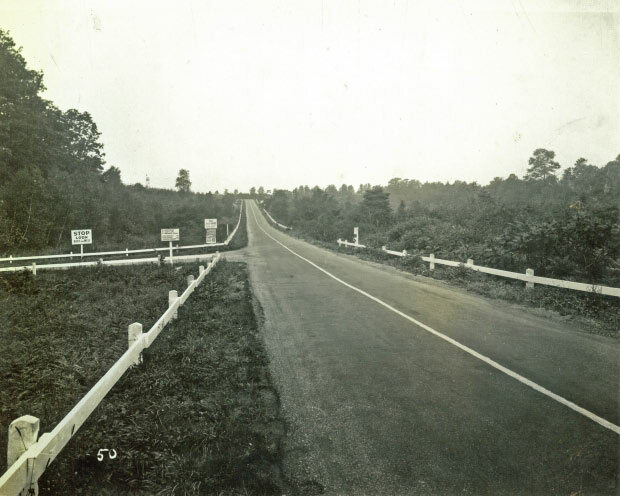 The concrete shoulders on each side of the road used to have short metal pipe fences rising about a foot above the shoulder. Someone knocked the shoulders down to ground level a few years back. Somewhere in the 1980’s when I was running, I was confronted by three stray dogs near that bridge. In a pack, one dog will run around your back and try to hamstring you. Knowing this I went to the northern shoulder. The drop-off from the shoulder would keep the dogs in front of me. They soon tired of the situation where they could not get behind me and ran off leaving me to finish my run. That bridge and knowing it was there saved me a lot of trouble. When I was a kid we used to explore the area and I did get to see the underside. It was partially filled in with some large stones on the south side, but we were still able to get in. Sorry, no pictures. There was yet another bridge we investigated just east of Bell Blvd when Kingsbury and Stewart Avenues were still a dirt roads in that area. I doubt if anything is left of that one. It was more open and easier to explore. 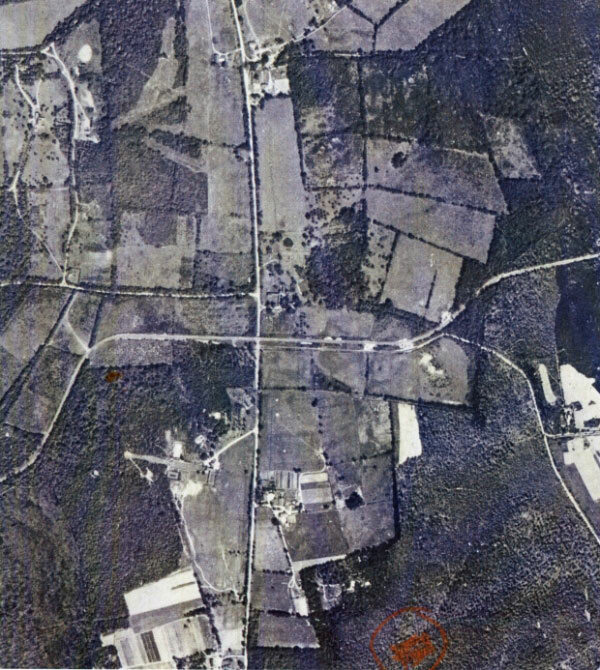 It could have been there for the Stewart Railroad which would have run in a gully where Stewart Avenue is now. No pictures there either. And all you asked about was the location of the bridge.